Fitting tribute to where Grace used to rest in the garden. 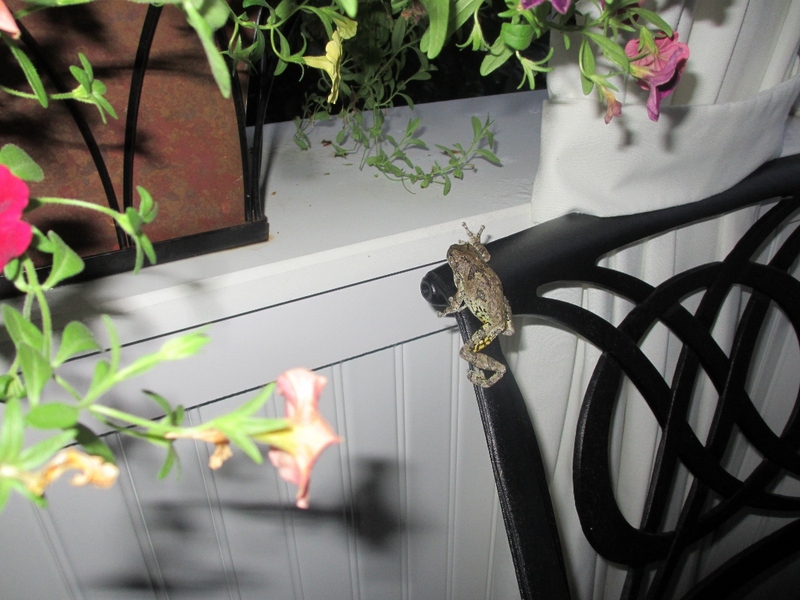 It’s been over a year since I blogged about the Porch Dog and the Porch Frog. The entire 2013 gardening season went by in a flash. Grace, the dog, is no longer physically with us. She passed away about 10 days after my Porch Dog/Frog post in late summer 2012. As anyone who has ever loved a pet knows, it was very sad and the loss felt profound. Someone once said that dogs come into our lives when they need us most, and they leave us when we need them most. How true that is. I still miss her today. While the physical presence of Grace the dog disappeared, the spirit of Grace in the garden never left. A neighbor provided some beautiful Pixie Grace Phlox to forever honor her memory in the garden. A total of six plants were added to the garden in the autumn of 2012 (one to mark each of the years that Grace spent with us during the 2nd half of her life) . This variety of phlox was beautiful in the late summer of 2013. It bloomed near the anniversary of Grace’s journey to the Rainbow Bridge. 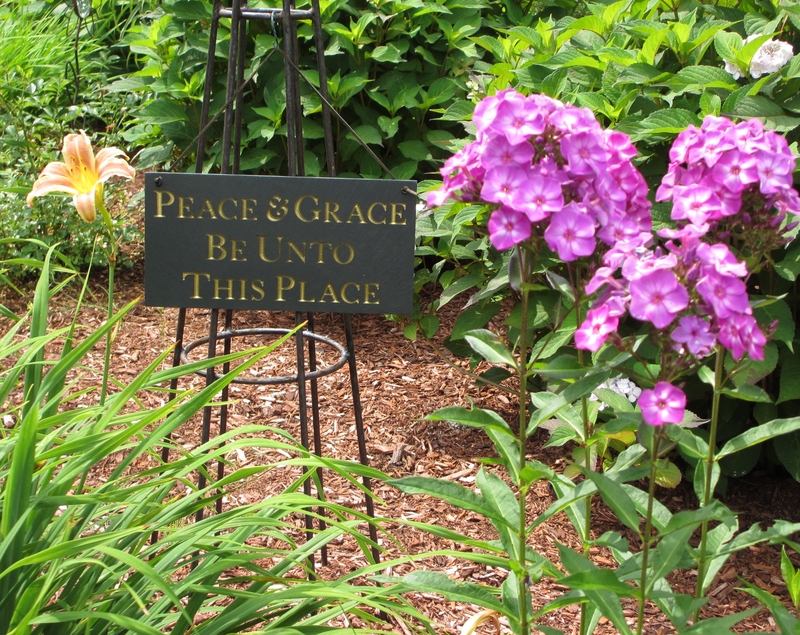 It was such a fitting tribute since the flowers were planted where Grace, the dog, often rested nearby, in a shady spot between the hydrangea and lilies. Some friends have asked me to share some various gardening experiences as they start to discover their own love of gardening. 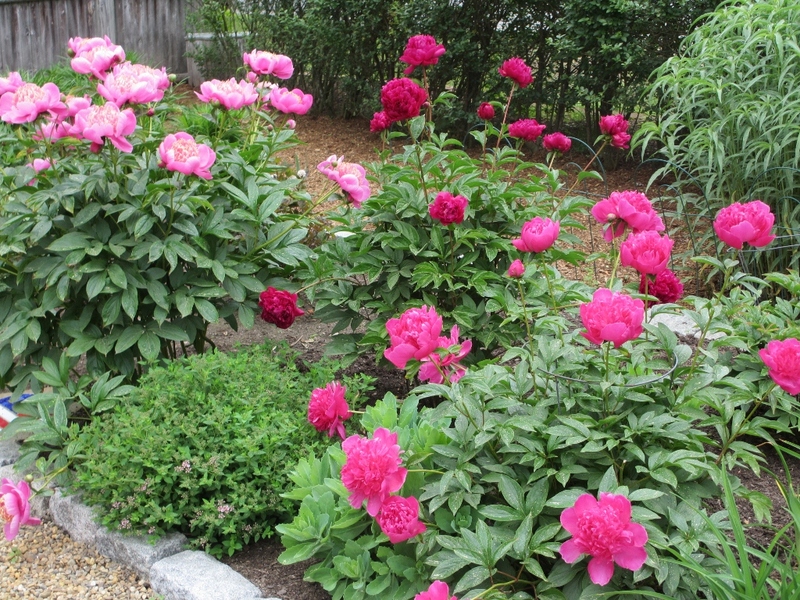 Because of this, I’ve decided that there is a need to keep the ‘Gardening with Grace’ blog going and to provide periodic updates about my own gardening experiences in New Hampshire (I am far from being an expert, but am a third generation backyard gardener!). I also am doing this for personal reasons too, so that I can continue to improve my skills and expertise in the area of social media and expand on my own personal brand. 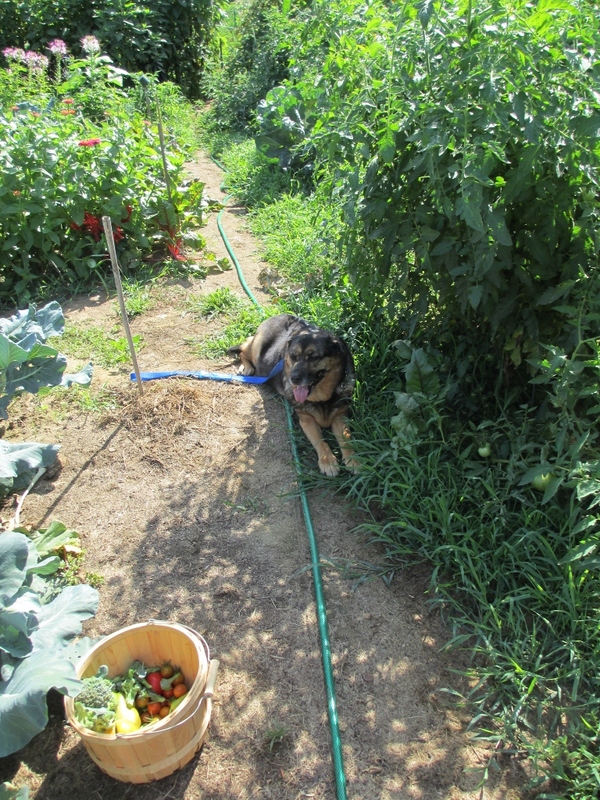 When I came up with the blog’s name it was about not just gardening with my dog, but gardening with the essence of the actual meaning of the word grace. Stay tuned….even though we’re in the midst of a cold winter, getting sucked up in the early January ‘polar vortex’, I’m still tending to my indoor garden activities and will share those experiences as we look forward to all the 2014 has to offer. Categories: About me, Dog Days in the Garden | Tags: dog, Gardening, Grace, Grace Phlox | Permalink. 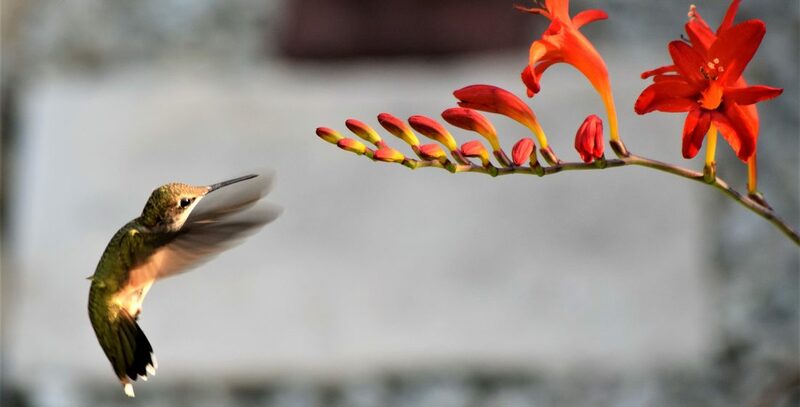 Mandevilla: Garden Splurge or Investment? It’s too hot to work out in the garden today. But not too hot to take a walk thru the garden to take in how things are thriving (or not) as we approach the midpoint of the growing season. 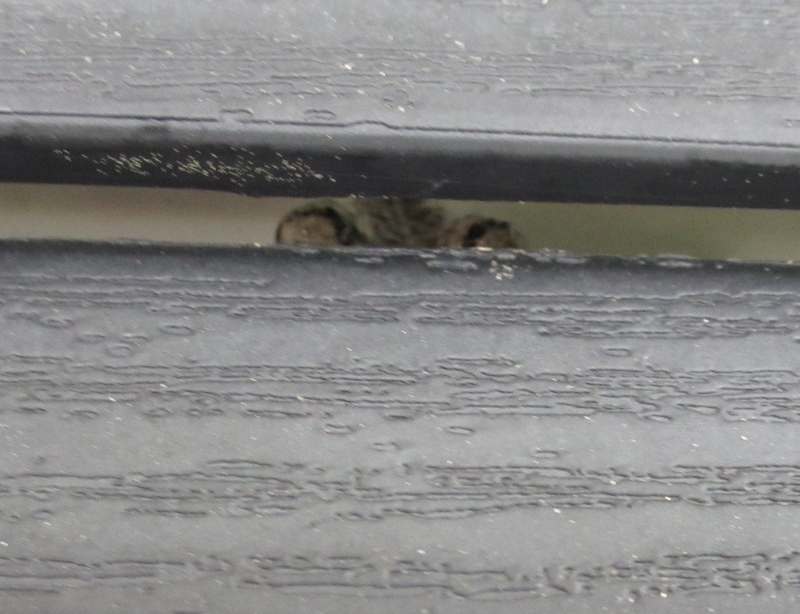 I captured a photo of her as I was admiring the mandevilla on the trellis. Grace doesn’t like the hot weather, but the mandevilla sure does. It’s a plant that is typically found in Central and South America. 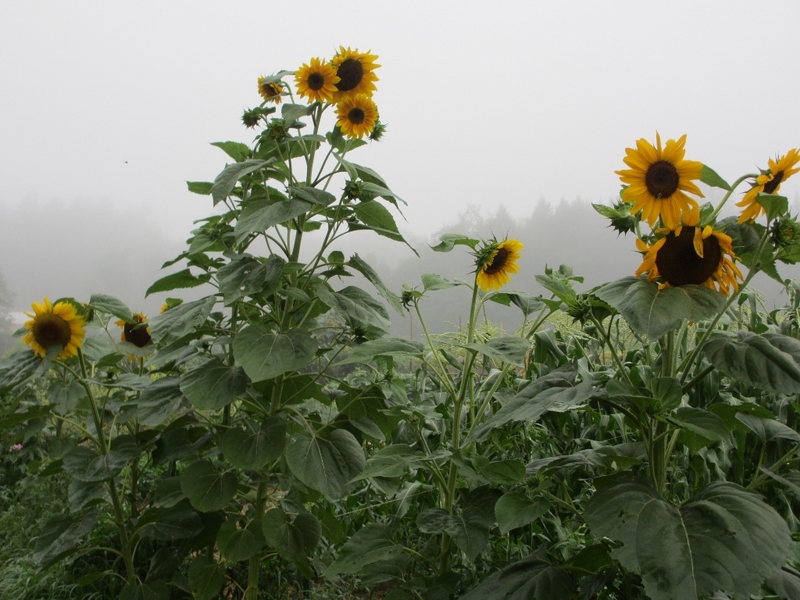 Everything in the garden that loves the summer heat and humidity looks great this week. 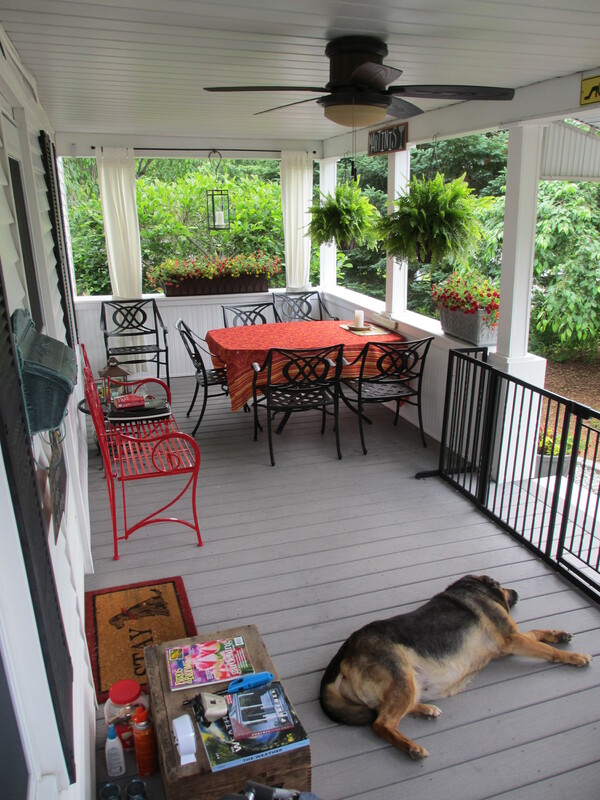 I used to think that purchasing mandevilla for my NH garden was an extravagance….each pot costs about $30. Wow! $60 for annual flowers for the trellis?!?! However, I’ve had success with overwintering the plants in my basement during the winter. As a result, I now look at these plants as an investment since I’ve kept some for as long as 5 years. In case you ‘re wondering, the mandevilla in this photo is a new 2012 “investment” into my garden. I’m hoping for at least one more growing season. But, if that doesn’t happen, the beauty that this pink mandevilla is bringing to my garden today, makes it worth every penny that was paid back in the spring. 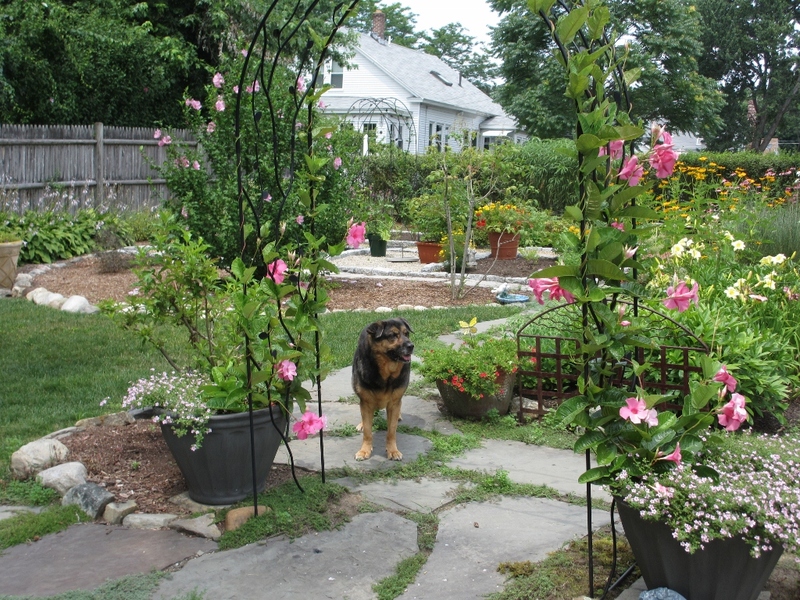 Categories: Dog Days in the Garden, Garden Tips | Permalink.